Is this REALLY a good idea? More and more doctors are prescribing the antidepressant Zoloft for children with anxiety. Zoloft is only approved for the treatment of obsessive-compulsive disorder in children between the ages of 6 to 17. Zoloft is not approved or promoted for the treatment of depression in children or adolescents. What Is Zoloft, And Why Is It Becoming So Popular? 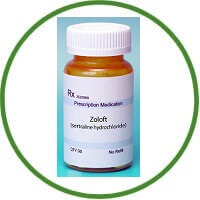 Zoloft is a prescription antidepressant categorized as a selective serotonin reuptake inhibitor or SSRI. Other drugs in the same category include Prozac, Lexapro, Celexa, Paxil, Luvox, etc. These drugs function by fundamentally altering the neurochemistry of your body. Most people operate under the assumption that SSRI’s work to balance the levels of serotonin and other neurotransmitters in the brain. This assumption, despite being vigorously marketed by the various drug companies which sell antidepressants, is false. SSRI’s don’t balance anything. The neurochemistry of the brain is so complicated and so poorly understood, that to balance even a single neurochemical is for all practical purposes an impossible task. What Zoloft and other SSRI’s actually do is create an artificial neurochemical environment in the brain which has the effect of blunting the various symptoms of depression and anxiety alike. The US Food and Drug Administration (FDA) permits licensed physicians to use their judgment to prescribe medication to treat illnesses for which that medication has not been specifically approved. In other words, since Zoloft and other SSRI’s are approved to treat anxiety in adults, doctors are allowed to use their discretion in prescribing Zoloft for children with anxiety.